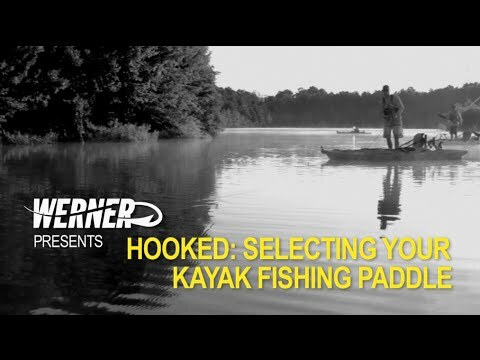 The Werner Tybee Hooked Kayak Paddle is a great new angling paddle. The best angling paddle is of course the best paddling paddle and the Tybee Hooked is a great value for a performance paddle that is suited well to paddlers who enjoy a faster cadence in their paddling stroke. The fiberglass reinforced nylon blades are durable and light weight and the shaft comes with the adjustable ferrule system. 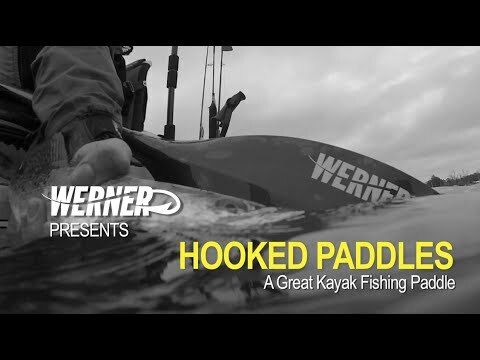 Werner Hooked Paddles Land at ACK! Great product. I love Werner and will never buy another paddle from a different company. Great fishing paddle. Lightweight and comfortable. I bought this paddle for fishing out of my WS Ride 115. I got the 240 length and I'm very satisfied with it. The ferrule locks up tight with zero play and the paddle is lightweight. The blade design is great for powerful strokes but It's not the best for paddling long distances. It's quality exceeds it's price point. 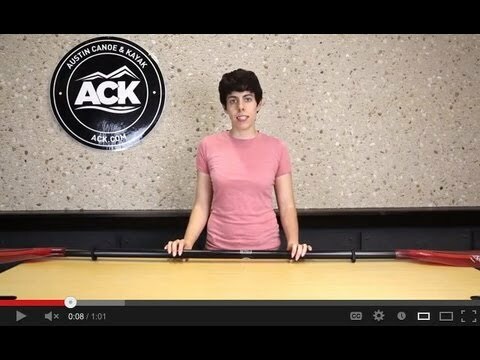 Austin kayak's customer service is some of the best in the industry! So far, just what I was expecting. I've only used it twice and there is a big difference between this paddle and the one I got with my kayak. I had questions before I ordered and the customer service rep I emailed with was very helpful! Great paddle but as a side note, the checkered pattern on the shaft of the paddle advertised in the picture is misleading as the paddle you'll receive is just a black shaft. Great paddles at a great price! To me,these are super all- purpose paddles. They gave me the angle/reach I needed on my sit-on-tops. ACK, as always, got them to me in a hurry! Great paddle and very pleased with my purchase. Use exclusively for fishing in mostly very shallow water......sand, clay, mud and heavy oyster shell. Paddle is light and extremely durable.......highly reccomend this Werner product.....Thanks ACK!!! This paddle performed flawlessly on my 80+ mile trip over the past 2 days. If you are a high paddler like me, this is a very good alternative to a full-on carbon model Werner Shuna Carbon. I would recommend this paddle to others. The Werner size guide made it very easy to know which paddle (and length) to purchase. I am very pleased with this paddle. Q: Yes I'm currently fishing out of an Ascend FS128 and going to upgrade to most likely a Lure 13.5 in the spring. 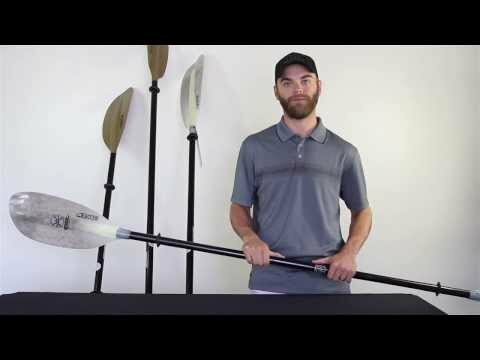 I am currently just a cheap Carlisle Daytripper paddle and I'm looking to upgrade my paddle to get more speed and easier paddling due to the Carlisle flexing and bending when I try to pull hard to get more speed. I'm looking at the Werner Tybee and Skagit 250cm-260cm. I'm 6'4". Which paddle would be better? A: Based on the fact that the Lure is a high seated kayak and your height, the Skagit would be the better paddle for you because of its lower attack angle. Q: I am 6'4 and have a lure 11.5 I was wondering which length would be best, and whether the skaget or the tybee should be best, because I'm looking to be going as fast as I can on the water. A: Thank you for your question! With the Lure you are definitely going to want a 250cm. As for paddles, the Skagit is 2oz lighter with a little larger blade, therefore I think it would be the best choice for going faster! Hope this helps! Q: Good evening, does this paddles come in another color other than brown? Q: I have a ocean kayak trident 13', 2013 model, and i am looking to upgrade my paddle. Im 5'-11". What length would you recommend and would the Tybee be a good choice? A: For this boat and your height I would recommend a 240 CM paddle. If you ever have any questions regarding paddle sizing, please give us a call at 888.828.3828.